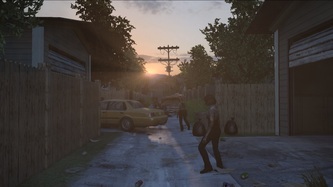 In The Walking Dead: Survival Instinct the player assumes the role of Daryl Dixon as he travels with his brother Merle across Georgia trying to find a safe haven. For this project I was a level designer and built five levels and took four of those to completion-- the small town Fontana where the player finds Merle, an eerie and tense hospital, a wrecked train-yard and a small neighborhood with train tracks behind it along with working with another designer on the initial prototype and vertical slice level. We had little time to create and iterate on these levels so we needed to build quickly. To do this, the designers used Google Sketchup to quickly build whiteboxes and iterate on the spaces. Created the whitebox for the vertical slice prototype level with another designer. Created concept, design, documentation, whitebox, and gameplay for 4 levels set in a small town, hospital, lumber mill, train yard, and small neighborhood. Built building templates in Sketchup with artists and designers to be used across the game. Using board games for inspiration, created travel simulation manager and road event prototype. 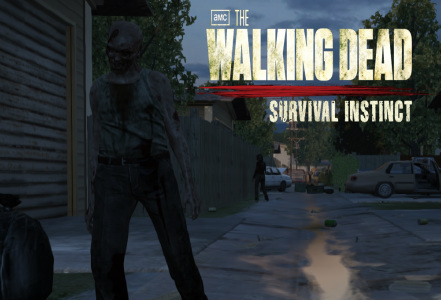 Collaborated with artists, programmers, and sound department to create tense and scary levels that fit within The Walking Dead universe. The hospital was one of my biggest design challenges and one of the levels I've had the most fun creating. From my initial concept I wanted to create a scary atmosphere that gave the player an area where anything could happen and they never felt safe. Creating that mood was difficult, but through the combined effort of myself, the art department, and the sound department we used a variety of expectations, lighting, and sounds to create the perfect atmosphere. 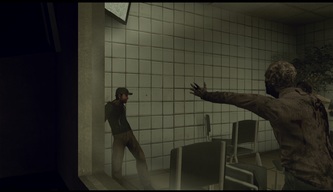 The moment the player enters the hospital they find themselves in a dark environment with dead bodies everywhere. 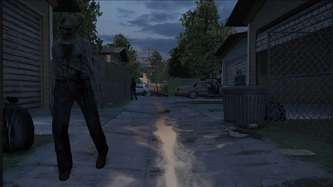 The player already knows that some dead bodies get up and know that any of these bodies could actually be a walker just waiting for the player. The walker leaning against the wall, the pile of dead bodies, or the lifeless hand you can barely see around the corner all provide opportunities for walkers to spawn and unlike other levels where the player can jump on a car or find a safe corner, no area in the hospital feels safe. 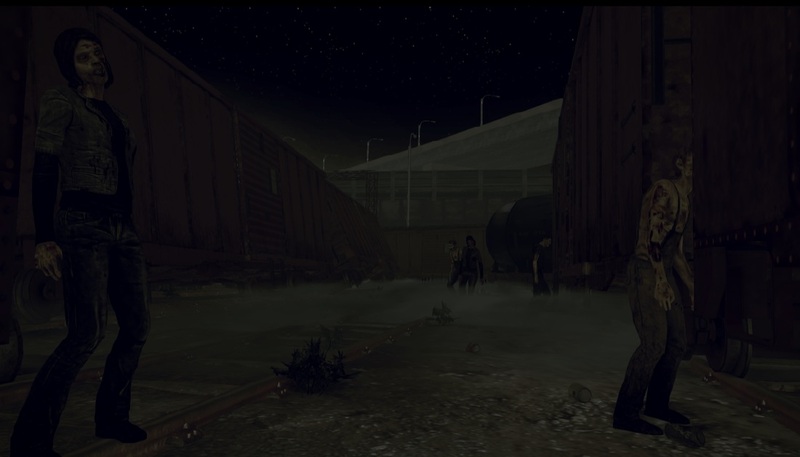 Most of the other levels in The Walking Dead: Survival Instinct place the player in a level filled with walkers from the start but I chose a different route with the hospital in order to better serve the atmosphere. A player entering this level for this level typically won’t see an actual walker for the first 3-5 minutes. 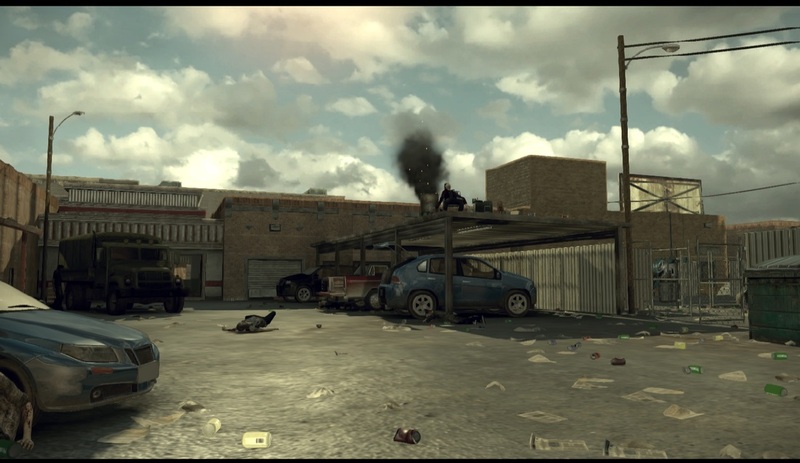 They still see all the dead bodies everywhere, but none of them get up. As time continues to pass with no walkers, the expectations for a walker to burst out of nowhere continues to build and keeps the player on edge. The player knows something is coming, they just don’t know when and where. Jump scares typically carry a lot of negative connotations but when used correctly they can work very well. I've played games where you know exactly when and where the jump scare is going to happen and they typically fall flat and feel cheap. I've played other games where the game plays with my emotions and keeps me on the edge and when the jump scare happens I truly get scared and have a great experience. That is the experience I wanted to emulate. In my case, the player is already on edge because they haven’t seen a single walker, they know a walker can come from anywhere and except for a low tonal sound and quiet ambient noise, the level has been nearly dead quiet. That is what I used to set the mood for my jump scare and make it good. 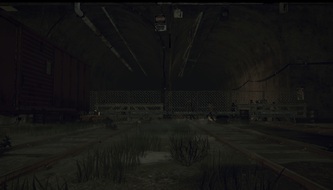 The jump scare itself takes place in a hallway with six doors the player has to pass. As the player passes these doors, a small and quiet stinger plays alerting the player. They still see nothing but now expect something to happen. Eventually, they pass by the random door with the jump scare. 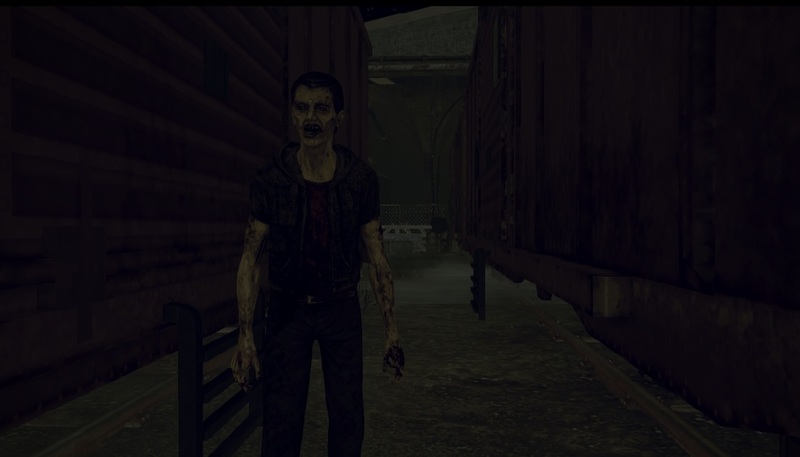 Without warning, a walker bursts through a door, a loud sound of the door breaking players, an even louder stinger plays, and there’s suddenly a walker in the players face. A single walker grappling the player is no threat, but the sudden loud unexpected loud noise and the walker in the players face surprises players who even know it’s coming. By making this moment, I've not only told the player to worry about the dead bodies littering the hallways but now they have to worry about surprise walkers bursting through doors. 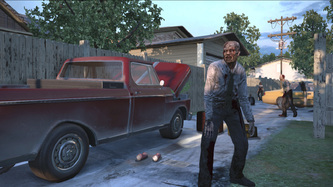 In the original script for the hospital Merle constantly talked to the player over the radio. This was great because you got to hear Daryl and Merle interact but destroyed the atmosphere for the hospital. 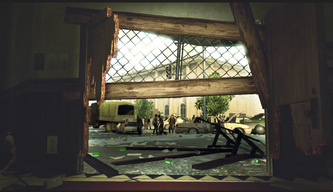 That first 3-5 minutes was no longer this moody experience, it was Daryl walking through empty rooms talking to Merle. To fix this, I worked closely with the story team to change where Merle speaks to Daryl and reduce the overall lines to keep the mood which greatly helped the feel of the level. Merle being loud and hurting the mood of the hospital did give me an idea though—what if Merle talking did affect the level itself? Merle is loud and obnoxious; we hate him but we also kind of love him. I decided to use this when the player enters the cafeteria shortly after the door jump scare. 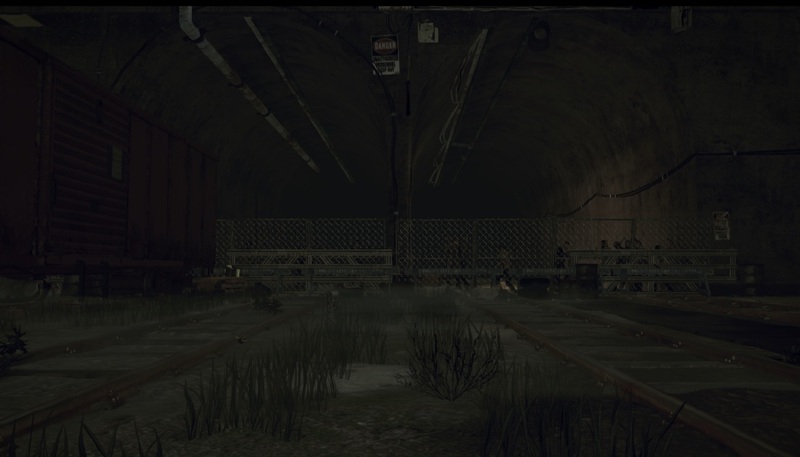 When the player enters the cafeteria, they see dead bodies everywhere and even worse, these all look like the type of dead bodies that typically get up. After the player takes a few steps into the dark cafeteria Merle suddenly comes on the radio and very loudly asks Daryl “WHERE CAN YOU GET A POKE AND A SMOKE AROUND HERE? !” in typical Merle fashion. Just as the player laughs at how silly the line is, the player hears walkers all around the room scream. The player spins around and sees the walkers one-by-one start to rise up. It's up to the player if they want to stay and fight to get the valuable supplies in the room or just run but they all will be cursing Merle under their breathe. I didn't want to have a level that was complete slow moment after slow moment. I love creepy and tense levels, but an entire level of that can get very tiring very quickly. To fix this, I took inspiration from the TV show where Rick is running from walkers in Atlanta and rounds a corner only to see a massive herd of walkers. This is a massive surprise to the player and a quick change of mood. Unlike games like Left 4 Dead where the player would find a corner and fight or other situations in The Walking Dead where you might contemplate taking on three or four walkers, the player’s only option here is to run. 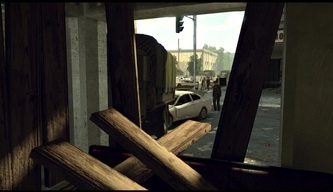 The player has mere seconds to change directions and get away from the certain death. By using variations of the above—quiet and loud sounds, surprises, potential for danger anywhere, and surprise herds, I created a level that constantly toys with the player’s emotions, never feels safe, and gives the player a very satisfying ride of ups and downs.